With a few simple changes you can keep your apartment warm and utility bills down this winter. A few months ago we gave you some tips on how to make your apartment more eco friendly. Whether or not you implemented any of those tips, you may be seeing higher heating bills or just struggling to keep your apartment warm when you’re home. While homeowners may think about investing in upgrades or additions to combat the cooler temperatures, one of the benefits of renting is that you don’t have to spend a lot of money on home improvements. The good news is there are some simple steps you can take as a renter to winterize your apartment while only putting minimal time and effort into it. It makes sense that the first place you want to look to keep the warm air in is where it’s most likely to escape. If your outside windows and doors are particularly drafty you should let property management know so they can make a note of it and send someone from the maintenance team to check it out and possibly make a replacement. If your windows and doors are newer or only slightly drafty a simple solution is an inexpensive draft stopper. You can make one yourself (plenty of DIY instructions are available online), purchase one, or just roll up a towel and place it where you feel the most cold air. Also consider window dressings to help with climate control. If you have windows that face the sun throughout the day leave your curtains open to let the natural heat of the sun warm the room. 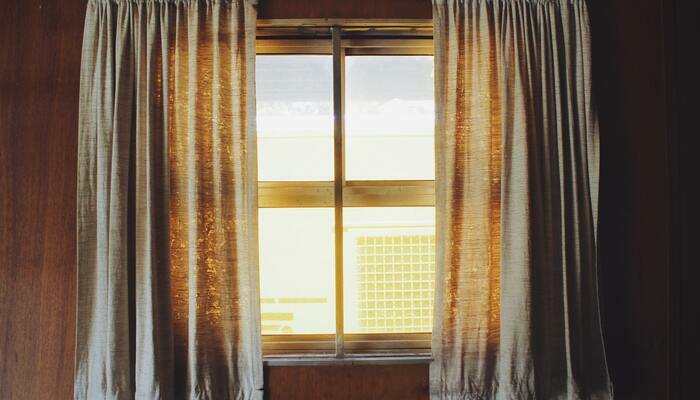 Another tip is to install curtains if you haven’t already, and keep them closed at night. In addition to being a nice focal point, this will add another barrier between the cold outside and the warmth of the room. Think back to elementary school science and use that knowledge to your advantage. For example, we all know that heat rises, so switch your ceiling fans to run in reverse to push the warm air back down to where you can enjoy it. In addition to sending the warm air back down, or if you don’t have a ceiling fan, consider your furniture and air vents. Make sure you don’t have any heavy items blocking vents, but instead promote air flow and assist the heater in doing its job. While you want to make sure your apartment is nice and toasty while you’re there, you’re most likely starting to feel that constant running in your utility bills. An easy fix to that is to turn your heat off (or just way down) while you’re not home. Most thermostats are programmable so you can set the heat to turn down when you usually leave for the morning, then turn back on 30-45 minutes when you’re set to come back. You probably don’t want to spend too much money on upgrades, but there are a few inexpensive options you may want to think about even as a renter. For example, did you know that if humidity levels drop too low it could help certain bacteria spread? Not to mention humid air tends to feel warmer, meaning a humidifier could not only save your heater from running so much it could also keep you healthier. In addition to the drapes mentioned above, a few other interior design upgrades could double as practical ways to save energy this winter. Take a quick shopping trip and look for wall hangings like pictures, mirrors, and bookshelves to act as a barrier between the cold wall and the inside warmth. Studies have shown that even a simple poster can raise internal surface temperatures by around 2°F, which can add up over time. If you don’t have it already, shop around for some thicker winter bedding. Especially if you’re able to program your thermostat to turn down at night, this is a great way to lower heating costs. Plus, scientists have shown that the best temperature for productive sleep is between 60 and 67°F, so that’s another win/win for your health and your wallet!